Violette Reine Elizabeth Bushell was born in Levallois, Paris on 26 June 1921, to a British father and French mother. Her early life was spent on the move between Britain and France, but at the age of eleven her family settled in Stockwell, south London. 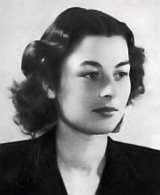 Although petite (just under five feet five inches tall, according to her SOE file) and very attractive, Violette's character was far more robust than her looks suggested. Spirited and strong‐willed, she detested needlework and domestic chores, but could outperform her brothers in any athletic pursuits. At the age of fourteen Violette left school, and was working as a shop assistant in Brixton when war broke out. In 1940 she met Etienne Szabo, a dashing French Foreign Legion officer from Marseille, who was serving with de Gaulle's Free French forces. They were married on 21 August, and the following year Violette enlisted with the Auxiliary Territorial Service (ATS), serving with an anti‐aircraft battery. In June 1942 she gave birth to a daughter, Tania, but four months later Etienne was killed in action while serving in North Africa, during the battle of El Alamein. Determined to avenge his death, it was a chance meeting that offered Violette the opportunity to join SOE. In June 1943 she met agent Harry Peulevé, who had already recommended a mutual friend as a possible recruit for the French Section. During her interview Violette's name came up in conversation, and was noted by SOE recruiting officer Selwyn Jepson: many potential leads came to him by word of mouth, and Jepson invited Violette to see him in July. Although he alluded to special work in France he could not fully spell out what the job would entail, but made clear the risks involved in volunteering. She accepted his offer without hesitation, and the following month Violette was sent to SOE's new Student Assessment Board, at Winterfold House in Surrey. After being put through four days of intensive physical and psychological examinations, the board was impressed by her "plucky and persistent" efforts but not by her apparently average intelligence or lack of initiative. Her overall grading was a disappointing "D", just good enough to scrape through to join a training group at Arisaig House in the Scottish Highlands, where she began a course in paramilitary and commando‐type work. Here she turned out to be a crack shot, reputedly the best in SOE, yet Violette's instructors remained puzzled by her. 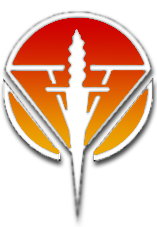 While she coped well with the rough and tumble of assault courses, silent killing and sabotage, they thought her "too fatalistic" in her outlook, and questioned her motives for volunteering – the desire for revenge after the loss of a loved one was understandable, but an unstable agent's actions could endanger the lives of a whole network. They also judged her too temperamental and lacking "the ruse, stability and the finesse" for clandestine life. However, with D‐Day just months away there was an urgent need for more female couriers, and F Section allowed her to carry on, transferring her in October to the Group B "finishing school" at Beaulieu in Hampshire, which taught students how to operate as undercover agents. In the new year she suffered a sprained ankle during parachute training at Ringway near Manchester, but after recovering and finishing the course Violette was offered her first mission as courier to Philippe Liewer, the head of the SALESMAN circuit in Normandy. This would be a particularly dangerous assignment. Harry Peulevé had just sent a wireless message from France warning of the arrest of Liewer's deputy, Claude Malraux, in Rouen. Liewer couldn't risk capture by returning in person. Instead he would go to Paris and send Violette from there to assess the damage, a job far more difficult and demanding than a typical courier's role. After arriving safely in France with Liewer on 6 April, Violette went on alone to Rouen as planned, travelling under the false identity of a secretary named "Corinne Leroy". Three weeks of careful investigations followed, as she slowly pieced together details of the capture of Malraux and SOE wireless operator Isidore Newman the previous month, and learned from the few remaining survivors what had happened. Peulev茅's message had proved accurate, and the writing for SALESMAN was now literally on the wall: the city was plastered with "wanted" posters showing Liewer's face, and Violette could report that nearly a hundred resisters had fallen into the hands of the Gestapo. She journeyed to Paris to tell Liewer the news that his network was now completely shattered, and they both flew back to England by Lysander aircraft on 30 April. Having proved herself a capable and resourceful agent, Violette was promoted to the rank of Ensign in the FANY (First Aid Nursing Yeomanry, a cover organisation used by female SOE agents) and volunteered for a second mission with Liewer. Parachuting on the night of 7/8 June, their objective was to build a new SALESMAN circuit around Limoges in west‐central France. Soon after landing Liewer decided to ask for help from Peulevé's assistant Jacques Poirier, who commanded the DIGGER circuit to the south, and on the morning of 10 June he sent Violette with a former agent of Maurice Southgate's, Jacques Dufour, by car. Unknown to them, the 2nd SS Panzer Division "Das Reich" was moving in their direction, on its way north towards Normandy. Outside the village of Salon‐la‐Tour they encountered a roadblock and attempted to retreat, but Violette was hampered by her earlier parachute injury. Telling Dufour to go on without her, she was eventually captured, though the exact details of what happened, and particularly whether she had been armed and had first engaged in a firefight, has generated debate ever since. (In a report at the end of the war, Liewer stated that she had taken a Sten gun and two magazines for the trip, but this was later contradicted by the testimony of a young resister, Jean Bariaud, who claimed to have travelled with Szabo and Dufour that day and insisted that she had been unarmed.) Dufour managed to report back to Liewer the next day, and they immediately began working on a plan to free Violette from Limoges prison, but she was transferred to Fresnes prison in Paris before they could act. Giving her name as "Vicky Tailor", another of her fake identities prepared in London (szab贸 is the Hungarian word for tailor), she faced interrogations at the infamous headquarters of the Sicherheitsdienst (the SS security service) on Avenue Foch. There is no good evidence that she gave anyone away, or that she was tortured. In August Violette and fellow French Section agents Denise Bloch and Lilian Rolfe were deported to Saarbrücken transit camp just inside the German border, along with 37 male prisoners. When their train was attacked by Allied aircraft, Violette, Denise and Lilian managed leave their compartment and fetched water for the imprisoned men, an act which left a deep impression on those who survived. After ten days the women were transferred to Ravensbrück concentration camp in northern Germany, then to a smaller camp at Torgau. Here Violette came close to mounting an escape attempt, but an informer foiled her efforts at the last moment, and in October they were moved yet again, this time to a derelict camp south of Königsberg on the River Oder. Put to work building a new runway, the conditions were brutal and the effects of the bitter winter reduced them all to a pitiful state. In January Violette and her companions were returned to Ravensbrück, unaware that their fates had already been decided: with Germany's defeat only weeks away the SS was systematically executing SOE agents before they could be liberated. Sometime around the end of January, Violette, Denise and Lilian were taken to the crematorium yard, where an SS officer shot each of them in the back of the neck. The bodies were then cremated. The end of the war brought chaos across Europe. Hundreds of camps were liberated, and countless thousands of prisoners remained unaccounted for. In the midst of this confusion the fate of Violette remained a mystery, and SOE faced enormous challenges trying to trace her. Captured SOE agents might have been arrested under a false identity (which might be different to those issued in London), and they were typically treated by the Nazis as "Night and Fog" prisoners, whose whereabouts were almost impossible to track after they were deported to Germany. Some of the returning civilian survivors reported having seen British women hanged at Ravensbrück, but their vague, often contradictory statements raised more questions than they answered. On 12 March 1946, the front page of the Daily Express reported "'Chute Girl Missing" as the search continued, but the official pronouncement of Violette's death followed just a few weeks afterwards, when SOE officer Vera Atkins obtained eyewitness testimony of the executions given by Johann Schwarzhuber, the SS overseer at Ravensbrück. Later that year Violette was posthumously awarded the George Cross, one of six awarded to SOE's agents (read the citation here). Three George Crosses went to F Section women, the other two being Odette Sansom and Noor Inayat Khan. Violette was also awarded the French Croix de Guerre and the Médaille de la Résistance. In 1956, the mulish Conservative MP Dame Irene Ward began a decade‐long wrangle with successive British governments, arguing that Violette's George Cross should be converted to a Victoria Cross (though they both rank equal as the highest awards for gallantry, the Victoria Cross is given for actions "in the face of the enemy"). After repeatedly petitioning the War Office and the prime minister, Ward's claim was finally rejected on the grounds that the original award had been made to honour Violette's courage in captivity, not for fighting or killing Germans. Violette Szabo has become the most celebrated of all SOE agents, in large part because of R.J. Minney's popular biography, Carve Her Name with Pride, published in 1956, and Lewis Gilbert's film adaptation released in 1958 starring Virginia McKenna and Paul Scofield. More recent biographies include Susan Ottaway's Violette Szabo: The Life That I Have (2001), and Young, Brave and Beautiful (2007), written by Violette's daughter Tania. Violette's poem code, "The Life That I Have", has also been published by Leo Marks, the former head of SOE's coding section. A blue plaque was erected at Violette's family home in Burnley Road, Stockwell in 1981, and her name is commemorated on the SOE memorial plaque at Ravensbrück, the Brookwood Memorial in Surrey and the FANY memorial at St Paul's Church, Knightsbridge. In 2009 she was also chosen as the "face" of the SOE memorial, unveiled on London's Albert Embankment. There is a Violette Szabo museum at Wormelow, Herefordshire. Carve Her Name with Pride by R.J. Minney (Pen and Sword, 2012). Violette Szabo: The Life That I Have by Susan Ottaway (Thistle Publishing, 2014). Young, Brave and Beautiful (reprint in July 2015) by Tania Szabo (History Press, 2015). Carve Her Name With Pride (1958, b/w) Starring Virginia McKenna, Paul Scofield. Directed by Lewis Gilbert.